Xander Scahuffele was snubbed from the 2018 U.S. Ryder Cup team, but he proved why he’s one of the world’s most underrated players Sunday with a come-from-behind win at the WGC-HSBC Champions in China. 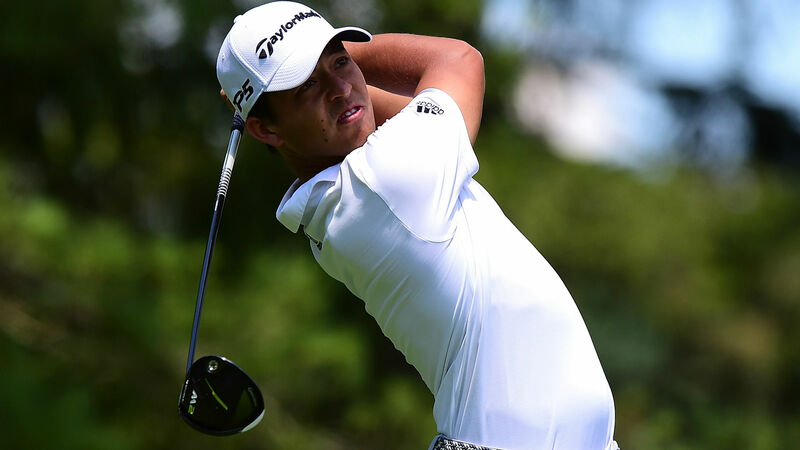 Schauffele started the final round three shots behind Tony Finau, but a 4-under 68 in tough, windy conditions helped him force a playoff after Finau shot a 1-under 71. The final two holes in regulation provided some intrigue, as Schauffele birdied the lat two holes to tie Finau. Schauffele then won on the first playoff hole to earn his third PGA Tour victory and first since last year’s Tour Championship. The loss could be heartbreaking for Finau, who virtually led the entire week only to fall short. Finau now has four runners-up finishes since last fall. His second PGA Tour win remains elusive. Justin Rose finished third at 10 under. After spending time as the world’s top-ranked player during the FedEx Cup playoffs, he fell to third entering the week, but remained consistent with his fifth straight top-10 finish. Schauffele burst onto the scene last year at the U.S. Open where he finished t-5 at Erin Hills. He later won two events to close out that year, including a huge victory at East Lake to close out the 2016-17 season. Schauffele now has three top-7 finishes in his last five starts and looks poised to take his career to the next level.